In today’s business world, e-mail is critical. If your e-mail is down, you’re losing money. What do you do when your mail server crashes or has an outage? Can you still do business? 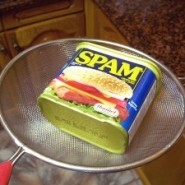 Spam is also a BIG problem. Unsolicited e-mail robs you of valuable time. Estimates say that dealing with Spam costs the average organization $168 per user per year in lost productivity. Unfiltered e-mail messages containing objectionable material can create a hostile work environment and could even lead to lawsuits. Virus-laden e-mail messages can easily cripple your network, or worse, install malware applications that can silently steal company or customer information from your computers. Want peace of mind? Read on. Reduce the amount of Spam you’re receiving by as much as 99%, and completely eliminate e-mail viruses. Reduce the load on your e-mail server, because SpamStinger™ only sends legitimate mail through to you. Avoid purchasing any hardware or software – SpamStinger™ is a managed service. Avoid the administrative hassle of managing and updating spam filtering software – once set up, our service requires virtually zero maintenance.